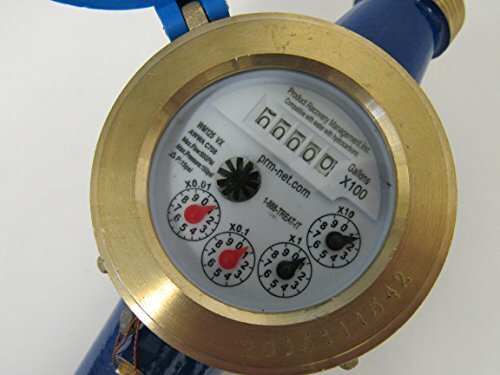 PRM multi-jet water meters are known for their wide range, simplicity, and accuracy in low quality water. 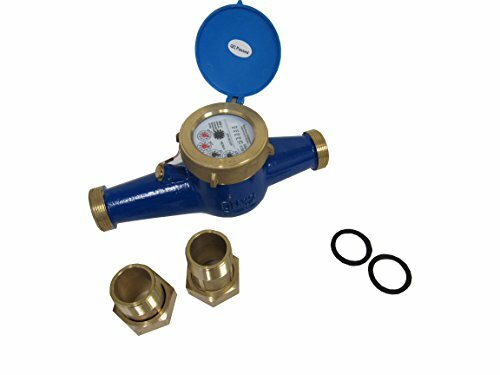 Features: Viton Rubber Seals, Sealed Dry Dial for Clear Readings, Internal Strainer to Protect Meter from Particulate Damage, Magnetic Drive for lower resistance. Specifications: Class:B, Accuracy: Transitional Flow: ± 5% Nominal Flow: ± 2%. Maximum Water Temperature: 104°F. 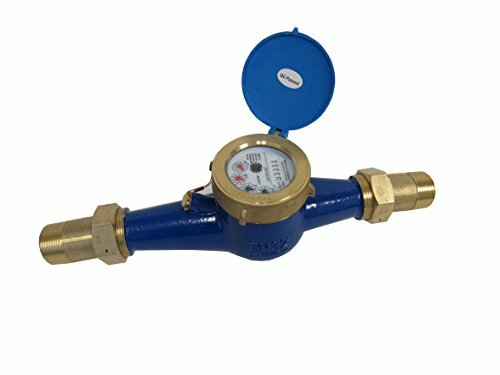 Maximum Water Pressure: 150 psi. Mounting Orientation: Horizontal. 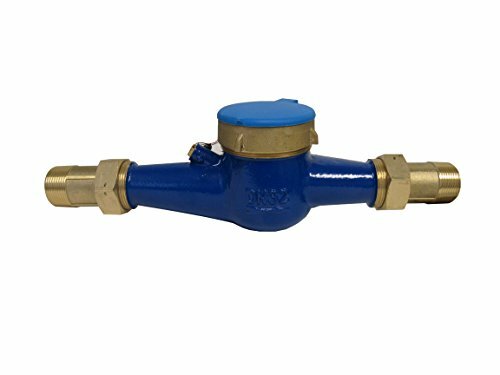 Materials: Body: Brass, polyethylene, Couplings: Brass, Measuring Chamber: Polyethylene, Paint: Epoxy Coated, Seal: Black: Viton Rubber, White: HDPE; Note: NOT FOR POTABLE WATER USE, BRASS CONTAINS LEAD IN EXCESS OF LOW LEAD LIMITS.